Legoland continues to be a favourite amongst our applicants. 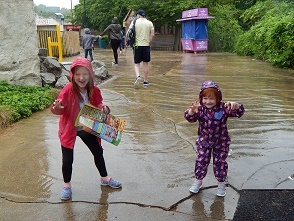 Daniella and her family had a fabulous time recently despite the rain. Daniella wrote to us to express her gratitude “We just wanted to write and say a huge thank you to everyone at the David Randall Foundation for allowing us to go to Legoland for two days last week. It was a much-needed family break. The M25 behaved itself on the way down, so we had plenty of time on Wednesday to work our way round the park. 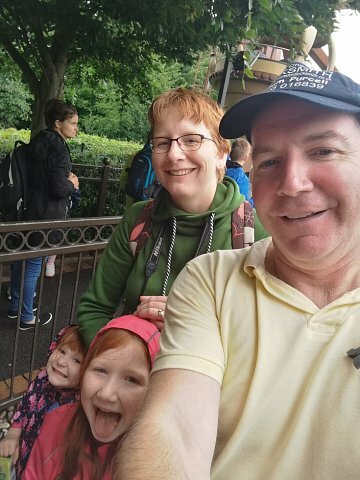 It was raining, but even that didn’t dampen our spirits….It was even a bonus, as there were fewer people in the park, and the queues for the rides were shorter! I don’t think we waited more than about 10 minutes for any ride! 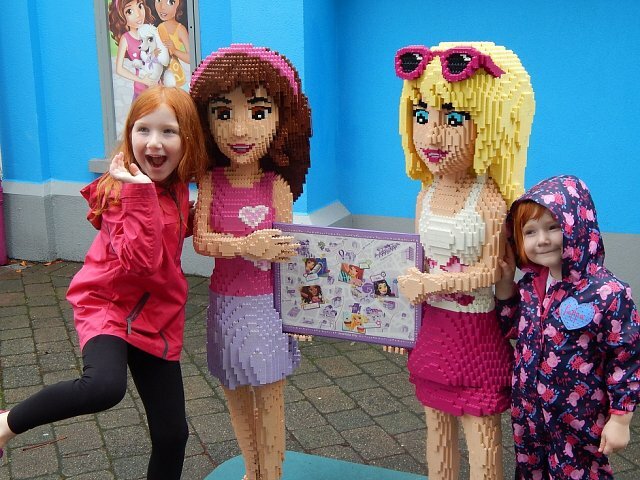 The girls had a great time seeing their favourite Lego Friends doing a show just as we got to Heartlake City, and we managed to stop them buying up the whole shop straightaway. We walked literally miles, and around 4pm we headed back to the hotel and checked into our Adventure Room. The girls were so surprised, and had great fun doing the puzzle to work out the code on the safe. The free gift sets inside kept them busy for a short while! We had dinner at the Bricks restaurant, which was really good. After dinner we went to the splash park and swimming pool in the hotel, and had fun getting soaked by the water cannons etc, and Aoife even got brave enough to jump in a pool for the first time! The Thursday started out fine. We still managed to get on all the rides we wanted quite quickly, and both girls passed their Legoland driving licences, which they were very proud of! We also went to see a 4D movie, which was really cool – particularly with the addition of water spray, real fire, wind effects and smoke!